Donations that are given directly to an individual and not through a registered charity are not tax deductible. Be sure to let people know at the outset that any donation they make is going to an individual and not to a non-profit organization and therefore there is no tax benefit for them. If at all possible, try to locate a non-profit organization who will fund raise and receive donations on your behalf. By doing so, donors may receive a tax benefit, but please check your state's tax laws. Most non-profits are aware of the tax laws and can guide you on this issue. Your area probably has a number of non profit foundations and community organizations that have experience in helping individuals raise funds. Try to locate one of these organizations. Here is some personal fundraising advice from the Massachusetts Attorney General's Office. Your state is probably similar but please check with your state's Attorney General's Office prior to undertaking a personal fundraising campaign. "Fundraising for a specific individual is not considered to be charitable fundraising, since the public at large does not benefit. Therefore, fundraising for a specified individual is not subject to the registration and filing requirements imposed on charitable organizations. No matter what you choose to call your fundraising activity, it is not considered a charitable activity if it benefits only a specific individual or individuals. Donors to your fundraising campaign are essentially making a gift to the beneficiary." If your personal fundraising efforts include raffle tickets, a lottery, or games of chance, you should definately check with your state's Attorney General's Office and Internal revenue service. Most states have very strict laws regarding these types of activities. HelpHOPELive is a 501(c)(3) nonprofit that helps patients and families facing transplantation, catastrophic trauma, or non-traumatic injury afford uninsured medically related expenses through grass-roots fundraising. HelpHOPELive provides the consultation needed to raise funds to bridge the gap between what health insurance will pay and what is actually needed to heal, live and thrive. Their office is located in Radnor, Pennsylvania, but they assist patients and families nationwide. Telephone: 800.642.8399. BridgingApps has created a funding source directory or iPads and mobile devices. We have received many questions from the BridgingApps community about how to get a device funded. We have begun to compile a list of organizations that grant iPads and similar devices to families who have children with special needs. Please use this list as a guide to explore ways to find such funding. Grants up to $1,000 are available for qualifying ASAP members to assist with the purchase of adaptive equipment and assistive devices. You must be a member of ASAP for 6 months prior to applying for the grant, have a diagnosis of syringomyelia or Chiari, and provide a written quote for total cost of the item. Checks are made payable to both the vendor and ASAP member. The Bobby Jones Open has made it possible for numerous ASAP members to improve their quality of life and enjoy a more independent lifestyle. People have received help in purchasing ramps, a therapeutic bicycle, accessible shower, lift chair, wheelchair accessories, elevator stair-lift, and more. Download and complete PDF application or call the office today at 1-800-272-7282. The Christopher Reeve Foundation (CRF) does not make grants directly to individuals with SCI. Instead, CRF provides Quality of Life Grants and Heath Promotion Grants to organizations nationwide that help improve opportunities, access and day-to-day quality of life for individuals living with SCI and their families. The mission of the Sunshine Lady Foundation is to invest in organizations and programs dedicated to providing opportunities for the advancement of education, well being and new life choices for disadvantaged people with special empathy for the working poor and families in crisis. Acknowledging that good luck does not shine equally on everyone, the Sunshine Lady Foundation directors, staff and volunteers, known as Sunbeams, seek out ways to effectively share financial support, goodwill, energy and vision with those who need it most, and to encourage collaborative efforts within the community to help achieve this mission. The Sunshine Lady Foundation is a private family foundation founded in 1996 by Doris Buffett and funded through her generosity. The mission of the foundation reflects the mid-western values and no-nonsense approach to decision-making that Doris grew up with in Omaha, Nebraska. Each Sunshine Lady Foundation grant is considered an investment, and the decision to grant funds is always based on an expected successful return. Doris Buffett is grateful to her father, Howard Buffett, and brother, Warren Buffett, not only for providing her with the wealth to fund the foundation but also for their inspirational examples of integrity and generosity. Please contact the foundation directly to learn more about grant possibilities. As of 2011, the average college student (graduate and undergraduate) left school with $23,300 in debt. Repayment of student loans has always been difficult, but with the economy still working its way back, many recent graduates have no jobs and no way to pay back their loans. People with disabilities that prevent them from working face an even more desperate set of challenges. HelpWithPayingBills, a site that helps low income families with finding financial assistance programs. State-by-state directory lists assistance programs that help with utility, energy, rent and medical bills. www.mymoney.gov - An official government website dedicated to teaching all Americans the basics of financial education; filled with information and easy to use. Provides useful resources to persons seeking information that can help with their personal financial decisions. "Retail Savings Guide for People with Disabilities," provides a detailed walkthrough of discounts and special offers for individuals with disabilities. The Medicine Program is a patient advocacy organization helping individuals and families all across America get access to up to 2,500 prescription medications available today for free or nearly free of charge through Patient Assistance Programs (PAPs). My Part D USA is a national organization specializing in Medicare Drug Plan Enrollments, Medicare Drug Assistance Programs, and Coordination of Medicare Health Insurance Benefits. Provide free and confidential comparison of Part D Drug Plans. NORD works closely with humanitarian-minded pharmaceutical and biotechnology companies to ensure that certain vital medications are available to those individuals whose income is too high to qualify for Medicaid but too low to pay for their prescribed medications. ESSDS developed Rx Outreach to provide a safe, affordable, and easy way for people of all ages to get medicines they need. The program offers prescription medicines to uninsured individuals and families, as well as those who have limited prescription drug coverage. A FREE prescription-savings card for eligible residents of the United States and Puerto Rico who have no prescription drug coverage. Plus information Medicare Part D.
Provides a basic IVF cycle which is donated by a facility. This includes the treatment and physician services and monitoring at the designated clinic. The applicant must be an INCIID Interactive Community Member at the Bronze Level or higher. The selection committee selects couples based on cost-of-living, submitted paystubs, tax returns and a letter from their doctor recommending IVF as medically necessary. Visit INCIID's Frequently Asked Questions for more information about the program and eligibility requirements. Website: Visit http://www.inciid.org for more information about the, From INCIID the Heart IVF Scholarship Program. Provides up to $10,000 per funded family to help with costs medical infertility treatments and domestic adoption. Open to all; applicants must have a diagnosis of infertility from their doctor and must be legal, permanent U.S. residents. You must be a resident of Ohio, Florida or Nevada and meet the geographic requirements identified in the policy. They offer emergency and other medically necessary hospital-level services free of charge. (2)Your income is at or below 100% of the Federal Poverty Guidelines (the FPG). For information regarding Cleveland Clinic Financial Assistance Policy and Financial Assistance Application Form, please refer to the contact information below for Cleveland Clinic financial counselors. Funds are allocated to select centers meeting high standards of IVF success rates and patient volume. 180 Medical offers a scholarship program (https://www.180medical.com/scholarships) to help those with spinal cord injuries, spina bifida, and transverse myelitis. Students attending a two-year, four-year, or graduate school program full time in the fall are eligible to apply. Applicants must be under a physician's care for a spinal cord injury, spina bifida, transverse myelitis, neurogenic bladder, or ostomy (ileostomy, colostomy, or urostomy). Must be a legal resident in the United States. 1800Wheelchair.com offers an annual scholarship award to an undergraduate student. The scholarship is open to students of any major or concentration. Although not a requirement, preference will be given to students with mobility disabilities. ABC Medical will be offering semi-annual scholarships, divided into the following three categories: Adaptive Sports, Scholar Athletes, and Making a Difference. The Adaptive Sports scholarship will be divided by age group (Junior, College, Adult) and will be awarded to individuals who represent good sportsmanship, display continuous respect for themselves and others, and display leadership characteristics on their adaptive sports team. The Scholar Athlete award will be given to individuals in need of financial assistance for their college tuition. The Making a Difference scholarship will be given to individuals that are trying to improve their own lives or improve the lives of others around them. The on AAHD Frederick J. Krause Scholarship Health and Disability is awarded annually to a deserving student with a disability who is pursuing undergraduate/graduate studies (must be at least enrolled as a Junior in college) in an accredited university who is pursuing studies related to the health and disability, to include, but not limited to public health, health promotion, disability studies, disability research, rehabilitation engineering, audiology, disability policy, special education and majors that will impact quality of life of persons with disabilities. Appel Law Firm offers an annual scholarship to college and graduate students who have been survivors of car accidents https://www.appellawyer.com/practice-areas/motor-vehicle-accidents/ and have overcome their injuries. Each year we offer the Auto Accident Law Firm Survivor Scholarship. The winner receives $1,000 towards their school tuition. At AvaCare Medical, we're showing our appreciation to those who are studying medicine - especially those who are disabled themselves - by offering an annual scholarship of $1,000 for students in the medical and healthcare field. When choosing winners, we will give preference to students with a physical disability. Birth Trauma, Neonatal Injury and Disability scholarship. As part of our ongoing commitment to heighten awareness and understanding of preventable birth injuries, Reiter & Walsh, P.C. is pleased to announce the continuation of their annual scholarship. A scholarship for financial assistance in the amount of $1,000 will be awarded each year to a high school, undergraduate, or graduate student who is influenced, in any way, by birth trauma, neonatal injury and disability. A $1000 to $2000 scholarship shall be awarded to two to three individuals with neurological disabilities, or the child of that person, for post high school education both spring and fall semester. Individuals suffering from a direct spinal cord injury or disease resulting in paralysis such as spinal tumors, strokes or aneurysms affecting the spinal cord, or spina bifida are given first priority. Other diseases and disorders that would be considered include MS, traumatic brain injuries, Parkinson's and cerebral palsy. Conditions such as ADHD or dyslexia do not qualify. Priority is also given to people living in Wisconsin, but scholarships still may be given out to individuals residing in the United States depending on the funds available. The scholarship will award $1,000.00 to one student selected by our scholarship selection committee. The student must be attending an accredited college or university. The program is open to students of any age, with any type of disability, including but not limited to physical disabilities, medical conditions, mental or psychiatric conditions, speech and language, learning disabilities, behavioral conditions, and all other conditions. ChairScholars Foundation - National Program is offered at only two Universities: Edinboro University of Pennsylvania and the University of Tampa in Tampa, Florida. Available to students in every state in the continental U.S., the ChairScholars National Scholarship Program provides eligible high school seniors and college undergrads up to $30,000 for tuition to attend either Edinboro University or the University of Tampa. CMMS Deshae Lott Ministries Inc offers hope and help to individuals pursuing post-bachelor's degrees in graduate programs or professional programs (like M.B.A.s from business schools, law degrees from law schools, medical degrees from medical or dental programs). Our non-profit acknowledges that quality-of-life, including spiritual health, often greatly depends upon resources that help mitigate the higher costs incurred by living with disabilities, specifically in situations where economics alone might deter self-actualization. The post bachelor's degree scholarship recipients have used awards to fund care givers, medical equipment, and tuition expenses during a course of study at graduate or professional school including the fields of business administration and finance, information, social work, law, art, and divinity. With support from the Denver Alumnae Chapter of the Kappa Kappa Gamma Sorority and other community contributions, graduates of Craig can apply for financial support for higher education from the Craig Hospital Alumni Scholarship Fund. The Eisbrouch Marsh, LLC a law firm in New Jersey is offering a nationwide annual disability scholarship that is being made available to students with a physical or a learning disability, who have been accepted or are attending a 4-year college program or a law school within the US. Express Ramps is proud to announce our new Annual College Scholarship Program. We believe that quality education is important for all who seek it. With the rising cost of education, we know that there are many deserving students who could benefit from some financial assistance. We are pleased to offer a $500 scholarship award to one such deserving student. The winning student will receive our scholarship to assist with his or her continued undergraduate education. The Student Award Program of FSD helps to increase opportunities in science, engineering, mathematics, technology, and pre medical/dental areas for graduate or professional students with disabilities. FSD has established a Science Graduate Student Grant Fund, which is available to fourth year undergraduates (who are disabled and have been accepted to a graduate or professional school in the sciences) and graduate science students who have a disability. Awards of $1000 each are made to qualified college or university students in any field of Mathematics, Science, Medicine, Technology, or Engineering. The attorneys at Harris Personal Injury Lawyers, Inc. understand the difficult process of recovery after you've been seriously injured. They are offering a scholarship for college students who have been victims of a serious injury, and are committed to demonstrating a determination to rebuild their lives by attending college. The Independence Foundation Scholarship was created to help individuals with physical disabilities pay for the ever growing expense of college. The Scholarship of $500 will be awarded to Three (3) individuals with a noteworthy physical disability. The scholarship will be awarded to one student in the amount of $500 to be used toward tuition, books or housing at an accredited US undergraduate college program or law school. The scholarship award is available to all pre-law and law school students. Students must be accepted to or already attending an accredited US college or university or accepted to or attending a fully accredited US law school. In addition, the scholarship is only available to students with a medically documented disability, which can be either a physical disability or a learning disability. Just Walkers' has started a $1,000 scholarship for students with mobility disabilities and is offering a $1,000 scholarship to undergraduate or graduate students with a mobility disability. To apply, students write an essay answering the question "Describe a time when you faced a major obstacle. What did you do and what did the experience teach you? The Karman Healthcare Scholarship Fund now provides students with the opportunity to earn two $500 scholarships per year*. This scholarship will apply to students this year who have a mobility disability, excelled academically and those who have a regard for disability awareness in America. Michigan auto accident law firm is offering an annual scholarship for college students who were victims of car accidents earlier in their lives and who have overcome their injuries. Annual scholarship of $500 will be awarded to two applicants each year. Thanks to a generous contribution from NBCUniversal, the American Association of People with Disabilities (AAPD) is proud to offer the NBCUniversal Tony Coelho Media Scholarship. the NBCUniversal Tony Coelho Media Scholarship will offer eight (8) scholarships to 2nd year associate students; undergraduate sophomores, juniors, and seniors; and graduate students with disabilities who are interested in pursuing a career in the communications, media, or entertainment industry. Each recipient will receive $5,625 to help cover the cost of education at their current college or university. Rehabmart.com, has established a $25,000 scholarship fund for students with disabilities (of any major), and for students pursuing a college degree in a health sciences/healthcare-related field, along with students pursuing special education degrees. SpinLife Innovation in Motion Scholarship program designed to aid college students in their academic endeavors. The annual program will award one (1) $1,000 scholarship and one (1) $500 gift card to Spinlife.com and is open to students who are manual or power wheelchair users enrolled at an accredited 4-year institution. Supports college scholarships for athletes who participated in organized competitive youth, high school or collegiate athletics and subsequently have sustained a life changing accident or illness (e.g. paralysis, blindness, cancer, amputation, head injuries). Scholarship recipients will meet the admissions standards at a four year or graduate level institution of higher learning. Following matriculation at the institution, the scholarship recipient shall maintain satisfactory progress towards their degree program and maintain a minimum grade point average of no less than 2.5 cumulative and the minimum required by their department to be considered "in good academic standing". Recipients will provide a copy of their cumulative transcript s well as a letter requesting renewal of their scholarship at the end of each academic year in order to receive aid in subsequent academic years. SpinalCord.com's sponsor Swope, Rodante P.A. is committed to giving back to the community, this includes the award of $5,000 in higher education scholarships every year! Each year two students are recognized (in the form of individual scholarships of $2,500) for giving back to the community through philanthropy and impacting the lives of people living with a disability. A 3.0 GPA, essay, personal statement, and big heart are required. For more information please see their website: http://www.spinalcord.com/scholarship. Do you have a child with special needs? Maybe you have an adult dependent living with a condition that requires special attention and care. If you pass away, leaving $2,000 or more in assets, your dependent will lose their Social Security, and their Medicaid card. It's the law. Many families with special needs children aren't aware of this law or don't know where to turn for help. What can be done to ensure the security for your child or dependent after you are gone? Where will your child live, who will take care of them? Will he or she be dependent on the government for his or her lifetime? Is there hope for a secure resolution? There is hope. Keystone Hope Special Needs Foundation can chase away that big cloud of worry that hovers over you and your family. We can locate an approved attorney to assist with the estate planning, and develop specific types of trusts so that you can sleep easier. Keystone Hope will assist you with legal fees, and can likewise help to locate meaningful transitional employment for the child or dependent. The goal at Keystone Hope is to remove the doubt, fear, and worry associated with facing the inevitable truth. The purpose of this site, sponsored by the Academy of Special Needs Planners, is to provide a general overview of strategies parents and others can use to plan for their own futures and for those of family members with special needs. State-by-state Qualified Disability Trust (QDT) results in lower income taxes for the trust. This site explains how a 'special needs trust' becomes a QDT. Attorneys who are unfamiliar with Special Needs Trusts may not be aware of this particular advantage. CCT is a 501(c)(3) nonprofit organization that administers affordable and efficient Pooled Special Needs Trusts (PSNT). Our clients with special needs are served throughout the United States. CCT was founded in 1990 by parents who have a son or daughter with special needs, along with concerned professionals. CCT is managed by a Board of Directors who serves with a caring heart and without compensation. The Board is comprised of at least two members who are related to an individual with special needs, legal and financial professionals, and experts who work in the special needs field. Staff members are professionals who are knowledgeable about trust administration and the rules governing Supplemental Security Income (SSI) and Medicaid for clients who receive these means-tested government benefits. CCT is committed to helping our clients, advocates, and professionals with integrity, reliability and discretion. Provide people with special needs who live throughout the United States, and their families, a convenient, cost-effective framework for the administration of both Third-Party and First-Party Pooled Special Needs Trusts that supplement government entitlement programs such SSI and Medicaid. Educate families, people with special needs, and professionals about the benefits of a pooled special need trust. Award individuals with special needs who participate in the Charitable Fund Award with a monetary grant to be used for services, medication, and/or equipment. Third-Party Pooled Special Needs Trust – established by a third party such as a family member or friend, and can be coordinated with an estate plan, life insurance policy or gift. First-Party Pooled Special Needs Trust – established with the Beneficiary’s own funds (self-funded) from a personal injury award, workers’ compensation claim, inheritance, savings or Social Security back payment. The Grantor can be the Beneficiary with special needs, a parent, grandparent, legal guardian, or the Court. For Beneficiaries receiving Medicaid, this type of trust is sometimes referred to as a Medicaid payback trust. Medicare Set Aside First-Party Pooled Special Needs Trust – established with a portion of the settlement from a workers’ compensation or liability lawsuit with an MSA nested inside a First-Party Pooled Special Needs Trust. Military Survivor Benefit Plan First-Party Pooled Special Needs Trust – established with annuity payments from the Survivor Benefit Plan for the benefit of a dependent child who has special needs. Find a Special Needs Attorney Search by state or fill out a form for assistance to locate an attorney in your area. Our mission continues in the spirit of James J. Peters and his tireless work to help America's veterans. VetsFirst's network of National Service Officers provides free assistance, resources, and representation for veterans struggling to navigate the intricate and often confusing VA claims process. VetsFirst is an exciting new name for an existing United Spinal Association program. United Spinal, and now VetsFirst, has a long and illustrious history assisting and representing veterans and their eligible family members. Unlike other organizations, United Spinala VA recognized veterans service organizationstrives to ensure the organization remains an instrument for veterans rather an institution. United Spinal's history began in 1946 when a group of paralyzed World War II veterans from New York City and the surrounding area banded together to raise awareness of the alarming plight of their fellow paralyzed veterans. Rejecting the poor treatment they received at their local VA hospitals, they led the charge for greater civil rights and independence, forming the congressionally chartered Paralyzed Veterans of America (PVA). United Spinal, formerly known as Eastern Paralyzed Veterans of America (EPVA), was a chapter of PVA. 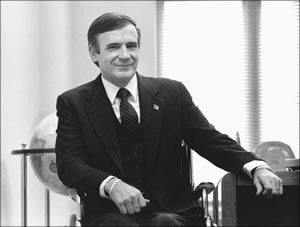 As the organization matured under the leadership of James J. Peters in the 1970s, 1980s and 1990s, United Spinal helped improve the quality of health care for veterans, backing words with deeds and dollars by winning denied benefits for individual vets and investing money in VA programs and infrastructure. These efforts have been a boon to every American with a disability. In 1970, Peters convinced Life magazine to run a cover story exposing the deplorable conditions facing Vietnam veterans with spinal cord injuries at the Bronx VA Medical Center. The story sparked a national outrage and convinced Congress to raze the facility and build a brand new hospital with special attention to SCI. In 2005, the hospital was renamed in honor of Peters and his work to ensure all veterans receive quality health care. In 2007, United Spinal created its VetsFirst program to better assist members and other veterans. In order to adapt to a changing world and economy United Spinal founded VetsFirst, Inc. in 2009. VetsFirst, Inc., a 501(c)(3) was created for the sole and express purpose of providing financial support to United Spinal's VetsFirst program. Today, VetsFirst continues the important work to uphold the values, objectives and mission needed for our nation's veterans no matter when or where they served. The WWP provides vital assistance to severely injured service members at the critical time between their hospital recovery and their transition to civilian life back home. The AFCEA Educational Foundation is pleased to offer the Disabled War Veterans Scholarships. These $2,500 scholarships, co-sponsored by Microsoft employees and the AFCEA Educational Foundation, are offered twice annually to active-duty service personnel, honorably discharged U.S. military veterans, reservists, and National Guard personnel who are disabled because of wounds received during service in Enduring Freedom-Afghanistan or Iraqi Freedom Operations. Personal Money Service Veteran’s Scholarship is a unique opportunity to support veteran who aim for superior educational heights. This one-time payment of $1, 000 can help you deal with educational costs and excel in studies. Who Can Apply for Scholarships for Veterans? Be an active duty member of the U.S. Military service or a veteran. Be a high school senior or a high school graduate. Be a legal resident or citizen of the U.S.
Not have previously earned a bachelor’s degree. If these criteria are met Personal Money Service will accept any application for the scholarship. Write a post that explains why you should be awarded this scholarship. Public link to your post. Cars for Troops is a division of the MobilityWorks Foundation, known for assisting mobility-challenged individuals and assisting them with achieving mobility independence. The Cars for Troops Vehicle Donation Program was created to make the world more accessible for physically-challenged veterans and their families. DRAFT's Segs4Vets program will present Segways to soldiers, Marines, airmen and National Guardsmen who lost limbs and sustained other disabling injuries serving our Nation in support of Operation Iraqi Freedom and Operation Enduring Freedom in Afghanistan. See our International wheelchair donation resources. Chariots of Hope, a nonprofit organization, has been established for the purpose of collecting used wheelchairs. The donated manual wheelchairs are then repaired and distributed, at no cost to the recipient, to those in need nationally and internationally.